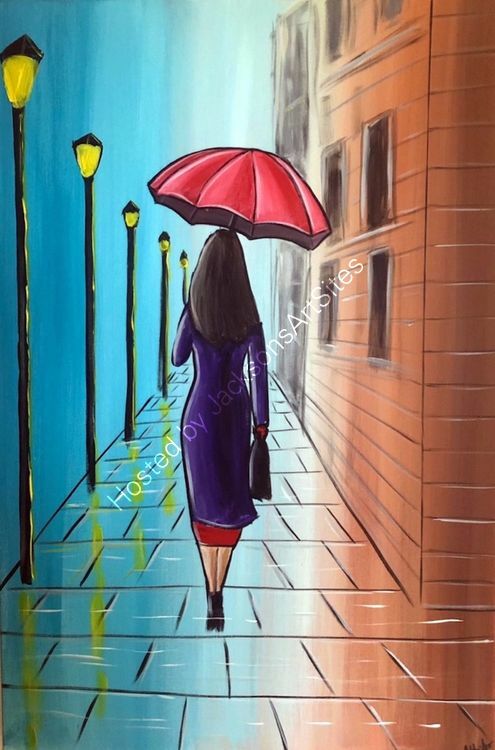 A stunning painting of a lady heading towards home with her red umbrella in the City. Shades of real blue and sienna work beautifully to serve as the background of this modern painting. This artwork continues over the sides, and is strung ready to be hung onto the wall. The painting is varnished with gloss. Comes with a certificate of authenticity. This artwork will be dispatched by courier for a next day delivery and a will be supplied with a tracking number.